We’ve come a long way since our inaugural meetup in 2016. Connected Data London has become a mainstay in the European Data Conference scene attracting both newcomers and seasoned experts from across the world. Our meetup group still thrives with regular, free to attend, meetings and a membership of over 700 members as of today. This year we are proud to host over 30 innovators and leaders from the likes of BBC, Google, Electronic Arts, Elsevier, Facebook, IBM, Thomson Reuters, Wolfram, Zalando and ZDNet in talks and panels across 4 themes and 3 tracks. We have expanded our themes and tracks from our roots to become the primary conference for Knowledge Graphs, Linked Data and Semantics to include related Graph Database and Machine Learning – AI technologies and practical use cases. But for us, the team behind Connected Data London, this is not just about connecting data and technology: it’s also about community. We see this as a significant milestone on our journey to connect data, technologies and people. We have been working with these technologies since 2005. We know and have worked with many of the people active in this community. We are glad to see the field going mainstream, and we have gathered some of the best minds to share their experiences with the world. We hope to see as many of you join us as possible. We believe it’s important to create a safe space for creative dialog. We want this to be lively and interactive, and we also want to make sure we are as respectful & inclusive as possible. Connected Data is a Broad Church. In addition to having a code of conduct that reflects this, we have taken things up a notch this year. As a token of our desire to promote diversity, we are giving away 20 free tickets to groups of people typically under-represented at technology events. We are doing this in collaboration with Diversity Tickets, a Travis Foundation app which helps conference organisers reach out to minority groups. If you feel like you are a member of an under-represented group in tech, which may include, but is not limited to, people of colour, LGBTQIA+ people, women and disabled people, that makes you eligible for a diversity ticket. We encourage you to apply until October the 31st, 2018. 7W Data. If you’re into data like we are, you probably know 7wData. 7wData provides insights in People, Processes, Technology and Visualisations, Making Data work for you. This is really close to what we do, and 7wData is helping us spread the word. Bottish. All about bots, AI, machine learning & robotics. Bottish aims to connect business people online and offline. It’s an online event with a true digital format reflecting the nature of the ro/bots universe. Bottish takes place six times a year and hosts prominent speakers. You can join Bottish online or at your local community in various cities worldwide. We work with Bottish to make AI more accessible for everyone. Chatbot Summit. The world’s #1 Bot conference, covering Chatbots, Voice Assistants, Messaging / WhatsApp, RCS, Customer Experience Innovation, Customer Service Automation, Natural Language Processing and Conversational A.I. More bots then, and though you may not be aware of it, much of this is powered by the same technologies we cover. Chatbot Summit helps us bring our communities closer together. DB-Engines is an initiative to collect and present information on database management systems. DB-Engines is the authoritative source of information on established relational DBMS, as well NoSQL. DB-Engines helps us stay connected to the graph database community. GOTO Berlin. Organised for developers by developers, GOTOcon happens 4x a year in Amsterdam, Berlin, Chicago and Copenhagen. 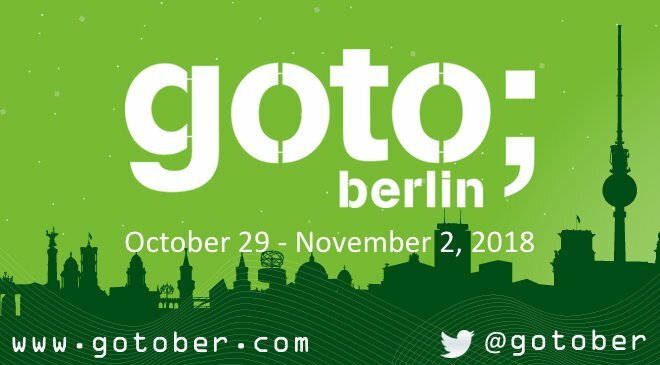 By joining our partners in GOTO Berlin on Oct 29 – Nov 2 you will have the chance to learn about Applied AI + Machine Learning, Software Architecture, IoT and more. If you are a developer, you need to connected data to build the applications of tomorrow, and we are here to show you how. Skills Matter is a community to learn and share skills with thousands of developers passionate about software craftsmanship and progressive technologies. We share this passion, and we work with Skills Matter to spread the love, and the knowledge, about Knowledge Graphs, Graph Databases, AI/Machine Learning and Linked Data / Semantic Technologies across our communities. tech.eu is the premier source of European technology news, data, analysis and market intelligence. The data specialists on M&A, exit and funding activity in the European technology industry offer an online magazine and a weekly newsletter with a premium subscription. We also get our news from tech.eu, and we work with them to let their the world let know about the latest from our field as well. Finally, we are always looking to grow as a community in terms of reach and always keen to hear ideas and feedback from the community on topics, formats and other items of interest. Please feel free to drop us a line (we’re always interested in talking connected data!) or to tweet us.